Throughout the month of December, Racer X Online editors and contributors will be handing out one award each day for an outstanding performance or effort or product related to the global motocross industry in 2018. Each winner will receive this award, which we’re calling a Roger, just like the Academy Awards have their Oscars. It’s in honor of Roger DeCoster, a great ambassador for the sport of motocross for more than 50 years. Today’s topic is Racer X Cover of the Year. 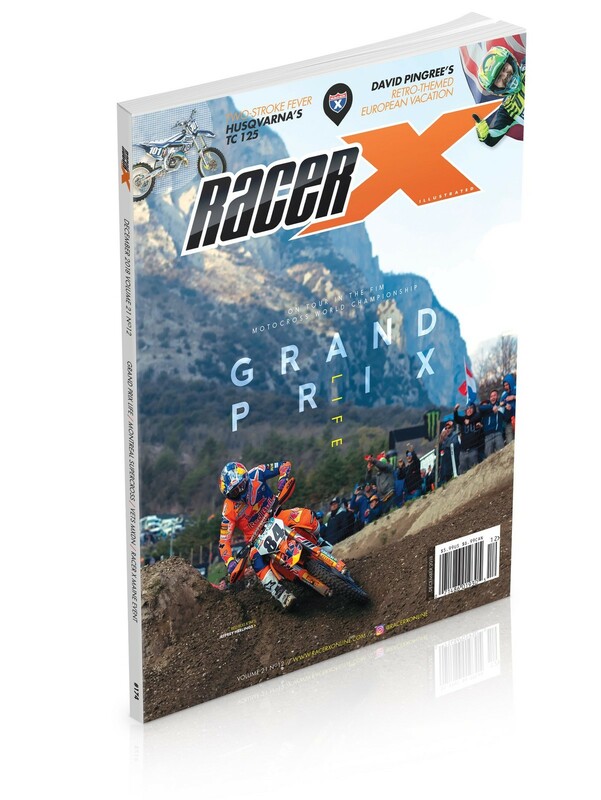 For each issue of Racer X Illustrated our staff goes over a number of options for which rider should grace the front of our magazine that month. After that’s decided it’s time to setup a photo shoot or source an image that will work with our masthead logo, cover blurbs, and issue contents. We have a ton of photography to go through, and narrowing down the perfect photo is far from an exact science. When it was determined that we were going to feature Red Bull KTM’s Jeffrey Herlings on our December 2018 cover to go along with a feature we dubbed MXGP Life, the hunt was on. The moment I saw the image I knew it’d be a bitchen cover and really breaks away from the mold of some of our more recent shots. That being said we didn’t know what the readers would think. It’s not like our standard covers, there’s a lot more space around the rider and for goodness sake there’s a giant mountain in the background! 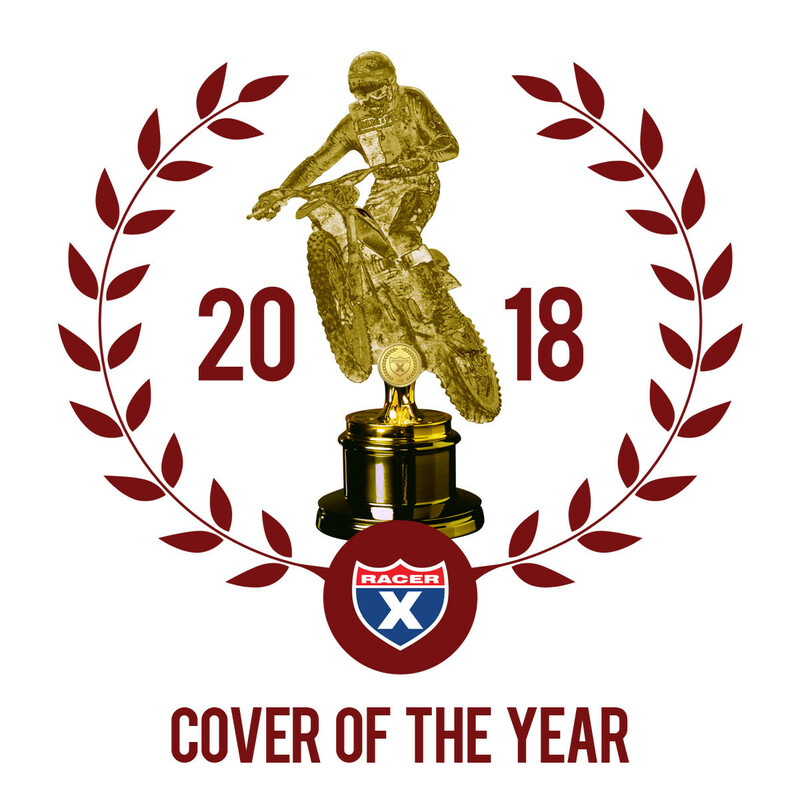 Once we had all 12 of our ’18 covers designed we put out a public poll on Racer X Online displaying all the covers, and then voting options. The December cover was the most popular, garnering 27.3 percent of the votes with our March cover featuring James Stewart on a Honda coming in second with 21.2 percent. The cover shooter, Roddy MacLeod, also had a lot riding on this as he’s now released a coffee table book detailing his journey on the road following the MXGP series this past year. The book is called Will To Victory which can be purchased at www.willtovictory.com.